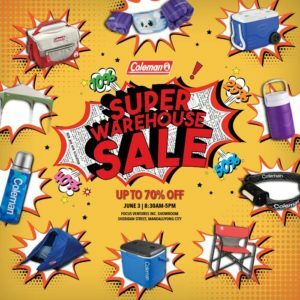 Are you ready for COLEMAN’S SUPER WAREHOUSE SALE? 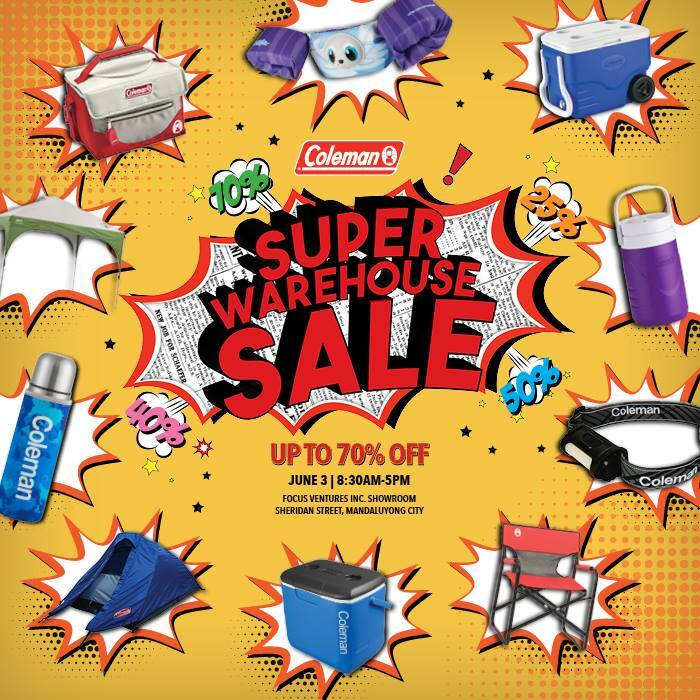 SUPER DISCOUNTS on tents, shelters, sleeping bags, chairs, and coolers coming your way! You can’t miss this! 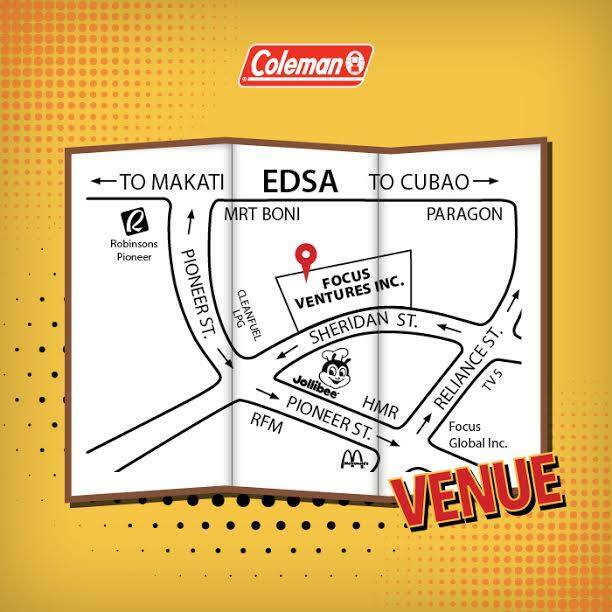 See you at the Focus Ventures Inc. Showroom, Sheridan Street, Mandaluyong City on June 3 from 8:30am – 5:00pm! Tag your family and friends. 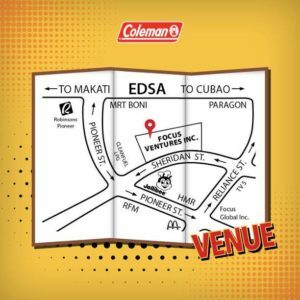 See you!